Update: my full review is here. 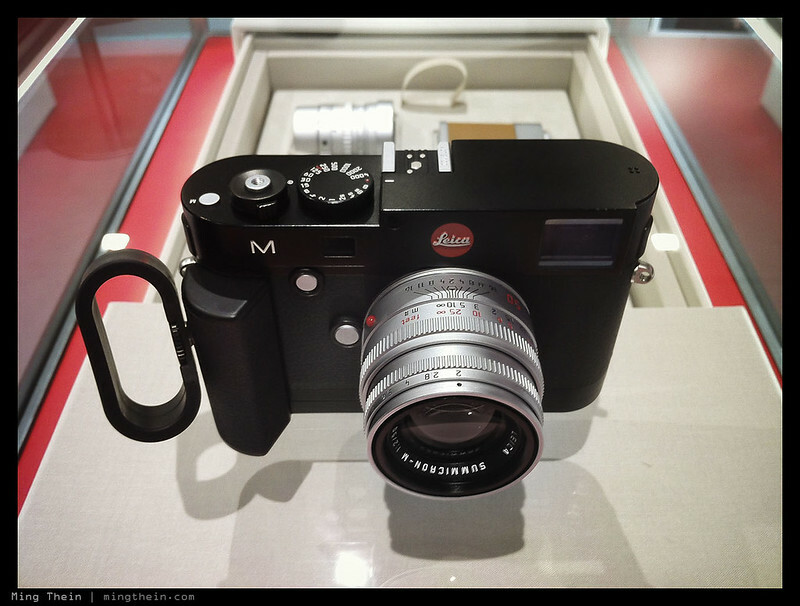 I finally had the chance to have some time alone with the new Leica M (2012 Typ 240) this evening at an event held by Leica Malaysia for the 2012 Maybank Photo Awards (you’ve got until the end of October to enter here; I’m serving as head judge). Advanced note: it was a pre-production prototype, with the SD card glued in because the image quality is nowhere near final. I’m told there will be some notable improvements between this version and the production version; it’s mostly to do with the firmware. I won’t be drawing any conclusions on image quality, because it’s simply impossible to tell at this stage. Please excuse the crappy product shots, I was using my old iPhone 4. And that brings me to the first point: the LCD is now enormous. And a huge improvement on the old one; it’s now a 3″, VGA unit that’s on par with the rest of the market – it makes an massive difference to the whole experience. You can judge sharpness on it; exposure is still of course best done with blinking highlights and histogram. 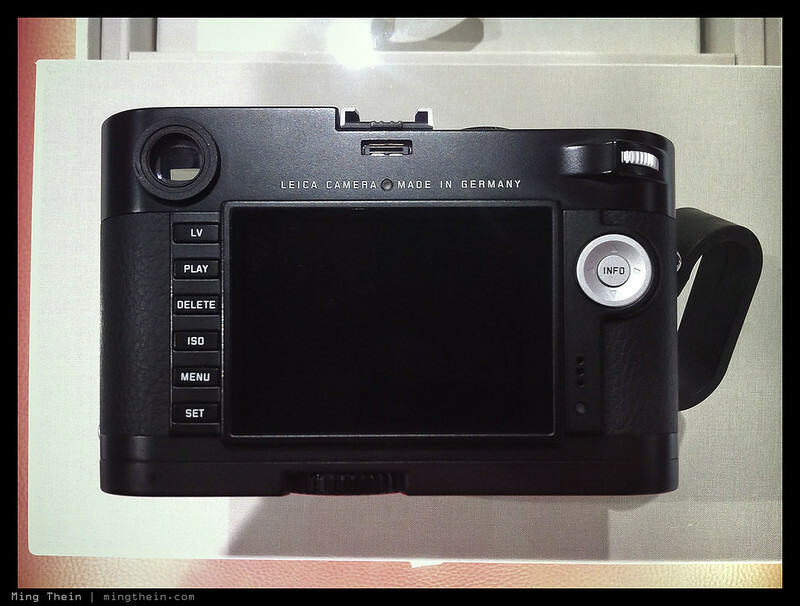 To go with the new LCD is a new, cleaner menu system with functions grouped into sensible clusters; there are more of them, but the M remains a camera that you pick up and shoot. M9 shooters will of course be at home after they figure out what the extra two buttons do – the one on the front is for focus peaking; the one at the top is to record a movie. The M now has live view, and a neat focus peaking feature that only activates when you turn the lens, and disappears with a half-press of the shutter or when you leave it for a while. I presume it works based on a sensor interacting with the rangefinder cam. The next thing you notice is the loss of the RF frameline illuminator window; it’s now LED backlit in either red or pale blue-white; both are very visible. I actually miss the old frameline preview lever; perhaps I was one of the few. There isn’t any more information in the finder, though. 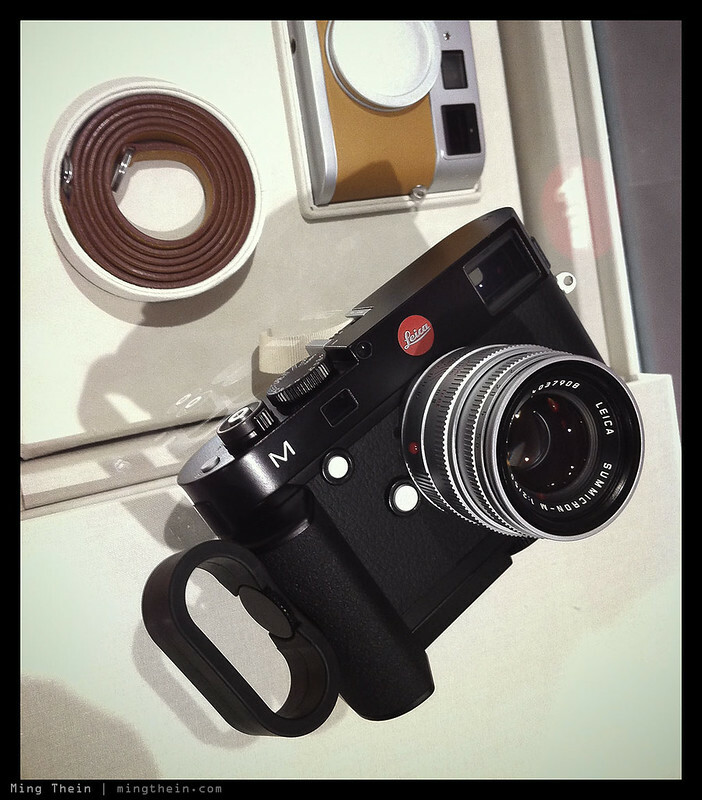 There are four things that make the new M feel much more polished: firstly, the shutter release action has lost the notchiness of the M8 and M9; it’s a light half press to lock exposure, and slightly more pressure with a clean break to exposure. The shutter itself is a lot quieter and lower vibration; it simply feels better damped. Secondly, the whole thing is just faster – shuttling around the large 24MP DNG files was fast, and there was no waiting for the camera to zoom in/ scroll around. It simply felt snappy; easily as fast as my D800E (!). Next up is selectable metering: you now have the old centerweight, but also spot and matrix; I didn’t get a chance to test matrix extensively but it seems a lot less prone than the M9’s meter to drastic underexposure when you have a bright point source in the frame. This is a good thing for night photographers; as is the new sensor. I could only judge off the rear LCD, but it appears that we’ve now gained some significant high ISO performance – 3200 looked pretty good, with 6400 being useable. Once again, without seeing actual files, this is far from conclusive. Although the body seems larger than the M9, it’s in fact identical in size to the old one. To accommodate that larger LCD and keep the lines intact, the scroll wheel around the d-pad has now moved to the top right corner, partially hiding behind a thumb rest. I was a bit skeptical about the utility of such a small nub, but it does feel much more secure in the hand than a regular M without a ThumbsUp – which is a good thing, because with the hotshoe serving double duty as an EVF port (didn’t get to try this, unfortunately) you won’t be able to attach any grip accessories. The prototype I handled also had the optional handgrip and wrist loop. I didn’t particularly like the feel of the loop because it didn’t feel comfortable – quite possible I had the wrong size installed for my hands – but the grip definitely improves handling. This one was a blank dummy, but I believe the final versions will have functional ports. The big question of image quality, and utility of other functions like video will have to wait until I have a final production sample to review – I’m told that will be sometime around December. I’m looking forward to a number of things: firstly, shooting wides without having to use an accessory finder; trying out some macro work without the Visoflex and bellows, and finally, putting my favourite Zeiss ZF.2 2/28 Distagon on the front in a useable way thanks to a Nikon F-Leica M adaptor I’ve had lying around for some time. thank you for the M preview.. it is more clear to me now with your explanation. Regarding the Maybank Photo Contest mentioned, my understanding by reading the terms, is it only open to Malaysian residents only? Hope you can clarify this. I am an indonesian resident. Sorry, Malaysian residents only. Thanks!